Oh man, all the different themes. I miss those. 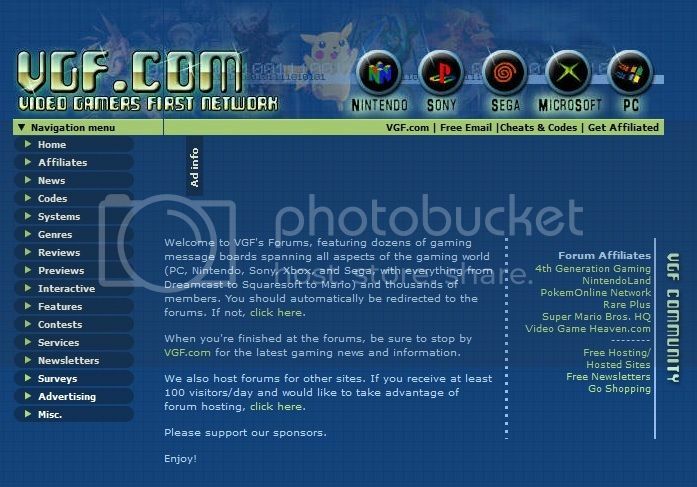 I can't believe VGF has been around for so long. Do we have to buy it a super high end car? He was. He also got himself banned, go figure. Too many memories. 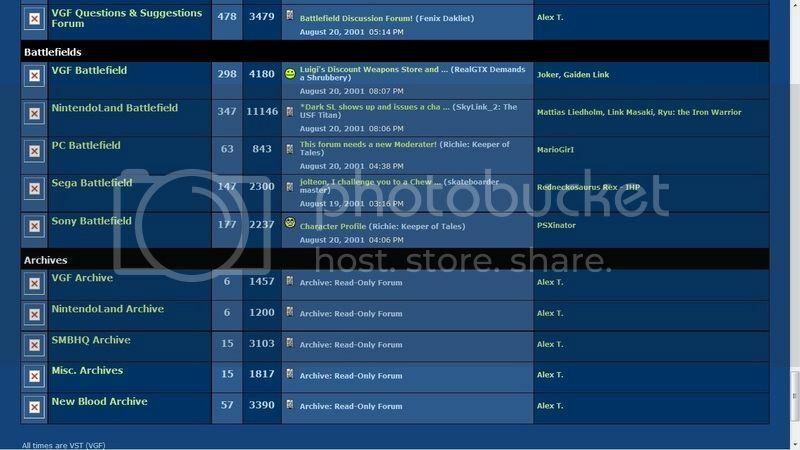 It's really cool seeing everyones old posts, and the subjects of the past. I sawcone topic in particular that I made and instantly remembered making it, "Pikachu Possibilities." More specifically, it was a detailed list of Pikachu's moves and their damage range for SSB64. Maybe we'll look back to now sort of like this eventually. I remember most of these themes. 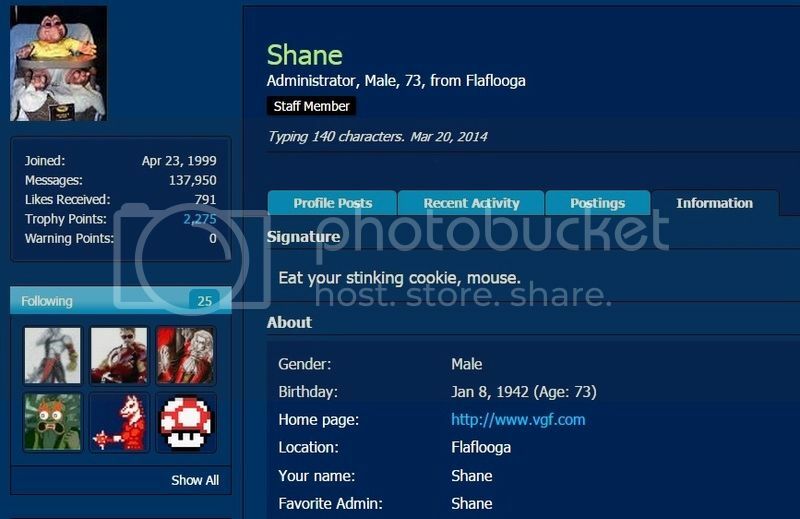 In particular the Zelda forum up there(Grand Adventures). THOSE TEMPLATES...Nintendoland, Grand Adventures, such good memories. Anyway, without getting too sentimental about it, it's crazy to think about all the time that's passed and even though I'm woefully absent a lot of the time, VGF's meant a hell of a lot to me over the years. I consider many of you good friends. ...but man, I remember being an obnoxious 12 year old at times. P.S. - Is ********** still censored?